WILMINGTON UNIVERSITY BASEBALL TEAM DEDICATES SEASON TO MUSCLE MOVEMENT FND. DELAWARE STATE AMBASSADOR! WilmU Baseball Team Advances to CACC Tournament in Honor of Muscle Movement Fnd. Muscle Champion and WilmU Teammate, Mike Smith! NEW CASTLE, DE - May is amyotrophic lateral sclerosis (ALS) awareness month! ALS is a disease which involves the loss of motor neurons. While these nerve cells are lost, their associated muscles are significantly affected; becoming extremely weak. ALS is categorized as a disease involving parts of the nervous system that are responsible for voluntary muscular movement. 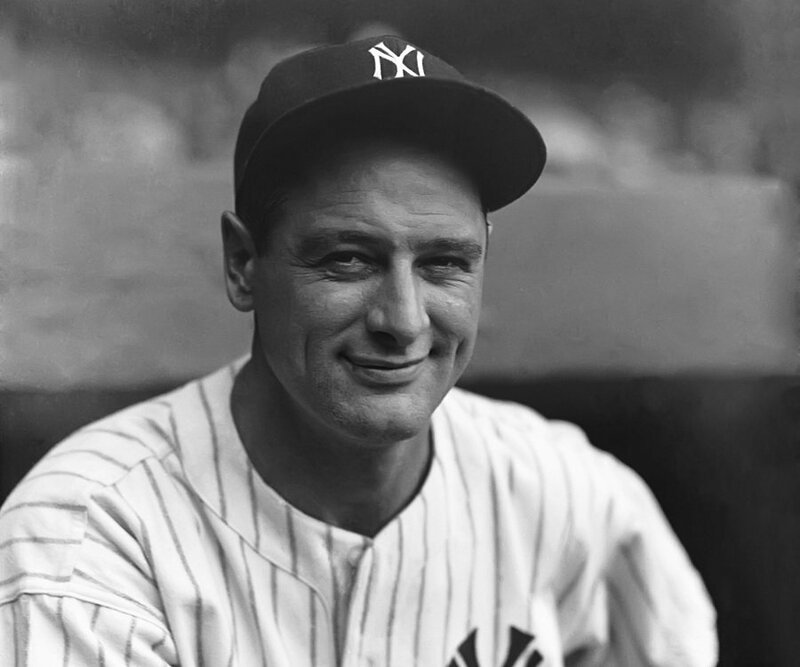 Following New York Yankees Hall of Famer, Lou Gehrig's diagnosis of ALS, the disease adopted a nickname of: Lou Gehrig's Disease. ALS is one of many forms of muscle disease the MMF operates to combat. This month we honor the life of Lou Gehrig (1903-1941). What a wonderful way to begin MAY, which is Lou Gehrig's Disease awareness month (ALS awareness month)! This past Saturday, May 5th, 2018, marked a special day for the Wilmington University Wildcats Baseball Team! WilmU Baseball Team’s pitching dominated as the team earned a 2-0 shutout over Nyack College to advance to the CACC Tournament! The student-athletes were excited about advancing to the post-season, but more specifically in honor of a specific teammate who wins an everyday battle against muscle disease! The players celebrated their win with WilmU teammate and Muscle Movement Fnd. “Muscle Champion” Mike Smith! Mike Smith was signed to the WilmU Baseball Team by way of Muscle Movement Fnd. Founder/President, Rob DeMasi and WilmU Head Baseball Coach, Brian August. Mike is a WilmU Student who is living and overcoming the effects of duchenne muscular dystrophy; a genetic disease that causes muscle degeneration and weakness throughout the body. Despite the obstacles Mike endures, he has furthered his education at Wilmington University and has served as the Official Muscle Movement Fnd. Delaware State Ambassador since 2015! Mike Smith and mother, Jackie Smith, proudly pose for a picture during the 2018 Wilmington University Baseball Team's signing day! Mike signed a 2018 Letter of Participation, by way of the Muscle Movement Fnd.! With this weekend’s win, the Wildcat Baseball Team advances to the double elimination portion of the CACC Tournament, which begins on Thursday at Post University! Please feel free to visit the WilmU Baseball Team’s “Strikeout Muscle Disease” page and follow the Wildcats as they continue to “Play with a Purpose to Strikeout Muscle Disease”! All contributions to their page will directly benefit WilmU student-athlete and Muscle Champion, Mike Smith! Click here to view page! Muscle Champion, Mike Smith, and the WilmU Baseball Team celebrate as they advance to the 2018 CACC Tournament!